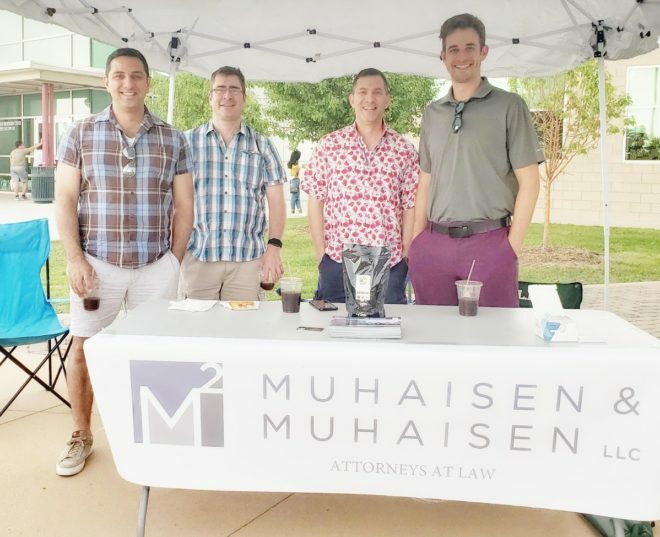 Muhaisen Law set up 6th annual Taste of Ethiopia Festival in Denver on August 4, 2018 to catch up with the community. M2 has proudly worked with many in East African community in Colorado over the past 17 years. (L to R) Wadi Muhaisen, Steve Crowley, Jay Muhaisen, and Mark Malone.